I am thrilled to report that my article The Affective Power of Voice: Oral History on Radio, has been included in the forthcoming edition of The Oral History Reader (Routledge 2015). 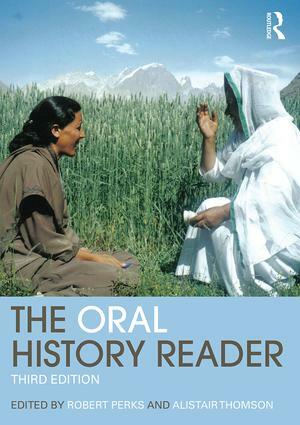 This comprehensive anthology (722pp) is undoubtedly the most important collection of articles by the international community of oral history scholars and practitioners. I am humbled to be in the company of such giants of the genre as Sandro Portelli, Michael Frisch, Studs Terkel, Paul Thompson, Sherna Berger Gluck, Valerie Yow, Doug Boyd, Paula Hamilton, Steven High, Linda Shopes and of course the editors, Australia’s Alistair Thomson of Monash University and the UK’s Rob Perks of the British Library. 2015 has been a good year for publication of my oral histories. The City of Sydney has done a fine job of placing online the archive of interviews with residents at Millers Point Sydney, done by me and coordinating oral historian Frank Heimans back around 2006. These interviews capture the rich harbourside community life of one of Sydney’s oldest suburbs, where men worked on the wharves (stevedoring) under tough conditions, and women raised families in cramped public housing. One of my favourite quotes was a woman who laughed that yes they did have running water back then – you ran in to the laundry, filled a bucket, ran back out and threw it into the bath! There are also great interviews with sports journalist legend Frank Hyde, a gentle man with a lovely sense of humour who sings Danny Boy on the tape; Jack Mundey, trade union leader extraordinaire, whose Green Bans movement stopped the proposed demolition of these inner Sydney ‘slums’ and kept the community intact; and Bill Ford, who grew up swimming off the steps at the ‘Met’ wharf and went on to be part of the famous US Freedom Ride that was mimicked in New South Wales in 1965 in a push to end discrimination against Aboriginal Australians. 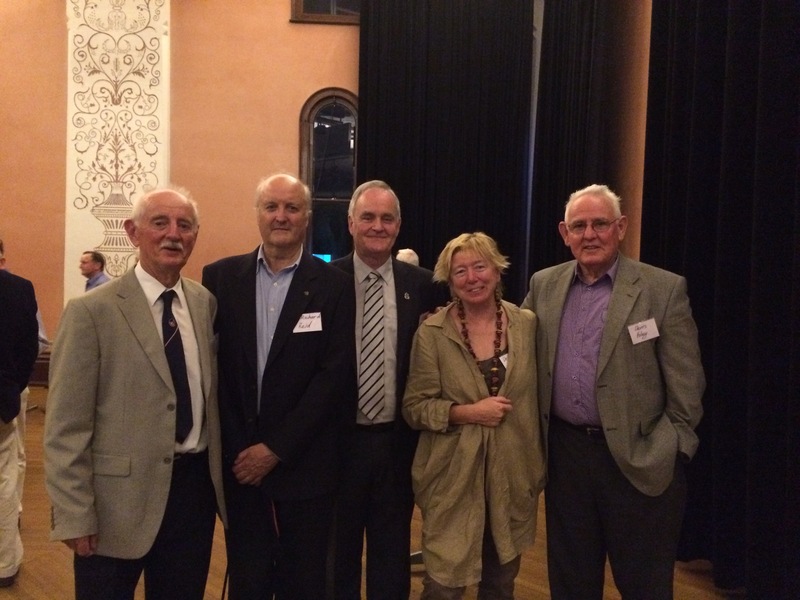 My other big project this year brought me full circle: recording the oral histories of prominent Sydney Irish and Irish-Australian members of the Irish National Association (INA), which has its centenary in 2015. As an accidental Irish migrant who has now spent just over half her life in Australia, it was fascinating to hear stories of similar migrants, and what they felt they’d gained and lost in the process. The project explores how the INA upholds Irish culture and heritage, through activities around music, dancing, teaching the Irish language and maintaining an awareness of Irish history and politics, through events like the annual Easter oration at the wonderful Waverly cemetery monument, the St Patrick’s Day parade (revived in 1979) and the Famine Memorial event at Hyde Park Barracks each August. The interviews were commissioned by the National Library of Australia, which has placed some of them online in full. You can browse the timed summary, where a keyword or phrase will take you direct to the audio, and even provide a citation. Try Bishop David Cremin recalling how he held a controversial Requiem Mass for Bobby Sands, the first of the IRA hunger strikers to die in 1981. Or Maurie O’Sullivan, passionate Irish cultural advocate, describing how he talks Irish to his dogs and his horse to keep up his language skills! There is also Tomás De Bháldraithe, whose father wrote the first Irish-English dictionary, reflecting on the prominent role his family played in the public intellectual life of the nascent Irish state. My next oral history project promises to be exciting and very different. 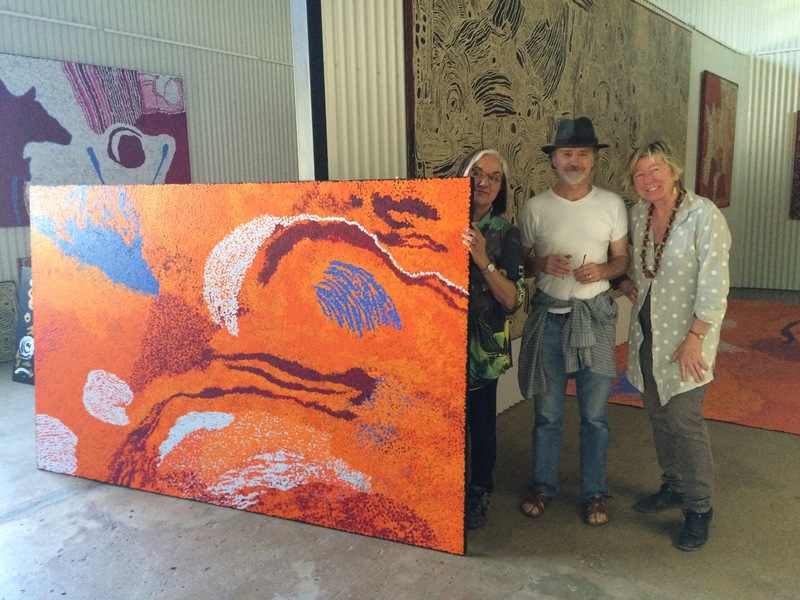 It’s an investigation into the relational aspects of how contemporary Aboriginal art is produced, funded by the Australian Research Council. I’m part of a team with noted art historian Ian McLean and Indigenous Curator at the National Museum of Australia, the indefatigable Margo Neale. We’re seeking to understand how Indigenous artists work with non-Indigenous art centre staff and dealers, and in conversation with other artists, both Indigenous and non, and how these relationships affect the art that emerges. We’ve already visited two remote communities and it’s been a revelation. No wonder I love oral history – you get to hear the life stories of the most extraordinary people. And I agree with Studs – there are no ordinary people; just the uncelebrated. Let’s get celebrating!